A Flitwick site manager and his team have landed a prestigious award for reaching the highest standards in housebuilding at their new homes development. 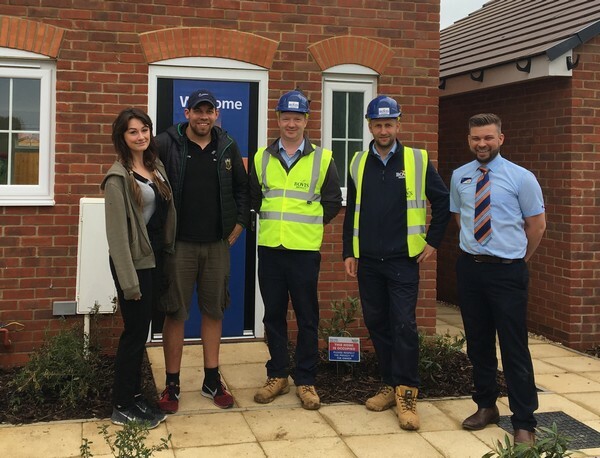 Jamie Reynolds has been recognised for his excellence in delivering quality new homes and excellent on-site management at Bovis Homes' popular Froghall Fields in Flitwick. He picked up the Quality award in the Southern region of the National House Building Council's (NHBC) Pride in the Job Awards 2018, having been one of the winners selected from more than 16,000 site managers from across the country. The achievement highlights Bovis Homes' drive to build quality new homes and deliver for customers in its Northern Home Counties region. Jamie said he was “proud” of his win and put it down to the hard work of his team. He said: “It's great to win this award, we've got good practice and teamwork, and everyone wants to come to the site. He said: “This award shows exactly what Bovis Homes is about, pride in our work, and the Froghall Fields team is a great example of it. Jamie will now be entered for the Seal of Excellence and Regional Winner titles, the winners of which will be announced on 26th October. Six Bovis Homes site managers won Pride in the Job awards across England this year. It is the highest number since 2012.